Today is the 27th of October. Every Saturday this month I have sent you on a magical journey over to the Samhain's Sirens Blog to see my entries for the Amazing Craft-tactular!! Today is my final entry for the project. It's been a amazing ride. In just a few days the Sirens will be announcing the grand prize winner. 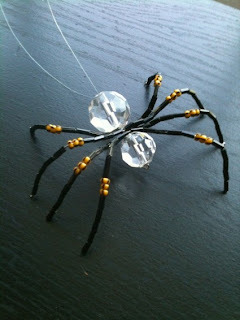 For today's craft I wanted to share with you a really nifty project. A few years ago I found a cute little poem about a Christmas spider. I've read many different versions some use Santa and others use Jesus. Some say the legend originated in Germany and this is a summary of my favorite. An elderly lady who was very poor was getting her house ready for the holidays. 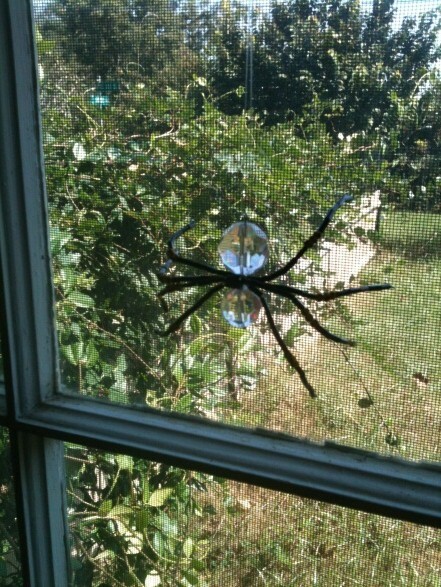 Each morning she cleaned her house and dusted the spider webs from her tree. 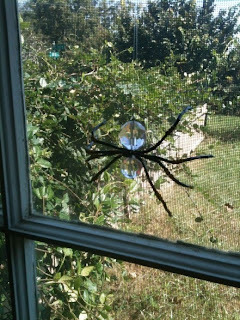 The spiders would come in at night and see the lovely webs removed from the tree and spend the whole night covering the tree with the lovely glistening strands of silk. On Christmas morning she woke early and stood by her tree and sobbed because of all the spider web on her tree. (Some use Jesus here, or Santa) But a magical being appeared and saw her heart break, but also so the love and energy that those tiny little spiders put into making the tree beautiful. That being changed all the spider web to tinsel and that's why today people still put tinsel on a tree. This little story always make me tear up. A wonderful holiday a gift is a copy of this German folktale and one of these lovely Crystal Spider to help others see that there is beauty in all things. So for this final Craft-Tacular head over to the Samhain's Sirens' blog and learn to make this great crystal spider and register to win the one below! You can use fancy beads or plain ones, this is a great craft to share with kids. Now through November 1st I'm offering a coupon code in my Etsy Shop for 20% off your purchase. Please use SAMHAIN to get your discount.